This is air purification machine. Space Guardian removes a pet's bad smell and cleans the air of the room. detailed info. Joint Nutriment contains the all natural an ingredient per pack. RUNBREN GOLD is a wellbalanced, supplementary nourising food perfectly compounded of Lumbricus-rubbellus, denhichi, ukon, and vitamin B1.B6. -all the ingredients function vitally inside our body. Since copper and aluminum are prepared in the lower part of a insole, by the electrolysis action of different-species metal, a smell is pressed down by the synergistic effect of disintegration and a sterilization action to be based on perspiration. 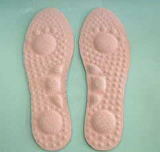 Moreover, the control effect of athlete's foot is also achieved. This is a natural sun-dried.salt and fine very delicious salt. 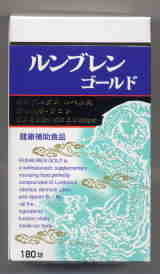 This fine particle salt is populor useing for massage in bath. The small bag is easy to use and travel. Please use this salt, when brushing your teeth, since the particle is fine! Please use this salt when you take a bath. Use it for cocking and Este for bath. Get The skin beauty ! No make up beauty useing Chouja salt soap! The mentioned prece is retail price. We can export those goods for parsonarl use and business use.